For a professional performance in training and casual game situations, stay focused and pull up the NikeGrip Strike Light Crew Football Sock in Polarized Blue and Armory Navy. 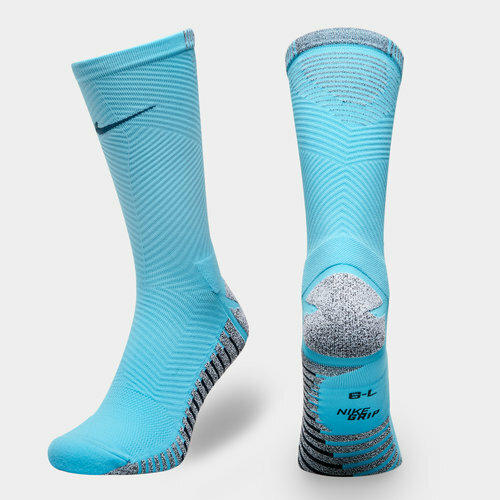 These quarter length men's football socks from Nike have gripping yarn and heel lock technology to keep your foot firmly placed inside the boot or trainer without slipping so you can pull off the manoeuvres and skills that define your game. Zonal cushioning also reduces pressure in key areas of the foot for comfort and to prevent soreness. Made from a polyester, nylon, elastane and cotton fabric mix, these socks feature Nike Dri-Fit technology which is designed to help keep the wearer feeling drier and more refreshed by wicking sweat away from the skin and quickly drying off during the thick of the action. 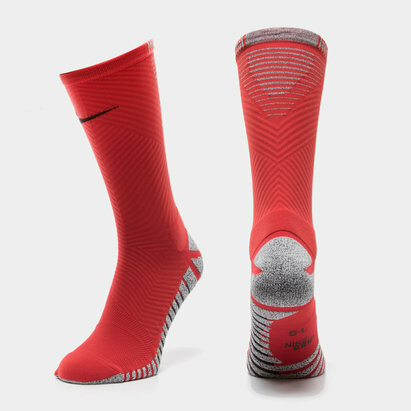 An essential for the kit bag of any serious footballer, make sure not to miss out on the NikeGrip Strike Light Crew Football Sock.